Home/Tips & Tricks/DIY or Professional Pool Tile Cleaning? 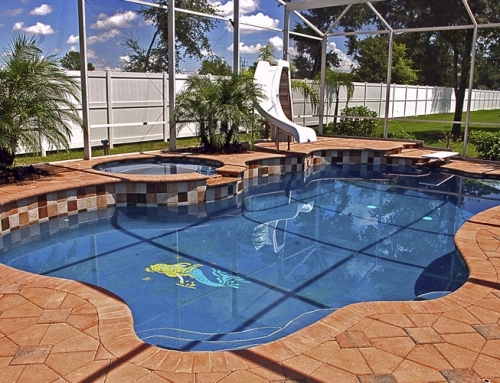 Should you clean your own pool tile or turn to professional pool cleaning companies? 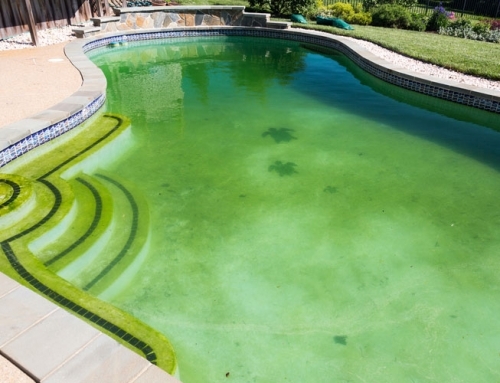 This is a question you may find yourself asking when you notice that telltale white ring around your waterline or white streaks around water features. No matter how well you stay on top of regular pool cleaning, you are bound to experience scale, a buildup of mineral deposits like calcium as your water evaporates. When making your decision, remember that pool tile and grout can be delicate. It can be easier than you think to damage or scratch your tile or grout, especially with harsh chemicals, abrasives, and scrubbing. Here’s what you should know about DIY vs professional pool tile cleaning. Cleaning pool tile on your own typically requires a lot of elbow grease and chemicals. 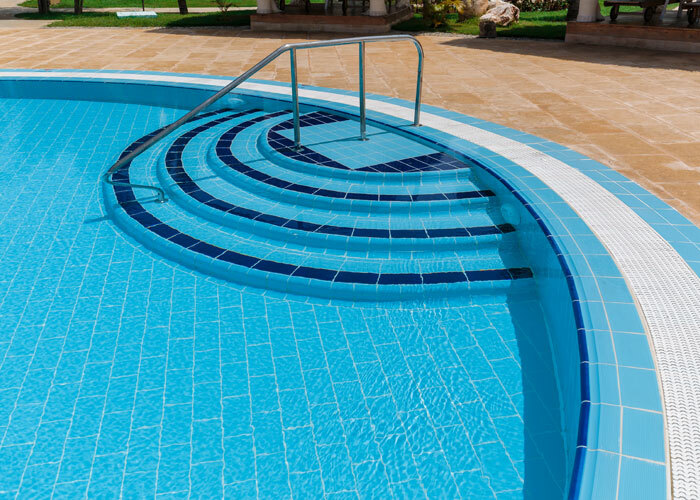 While pumice stone may be recommended by a pool equipment company, it’s not appropriate for all types of tile as it can cause scratches and damage. Pumice stone doesn’t work well on all types of scale, either. Removing scale deposits isn’t necessarily difficult but it can be tricky to do without harming your tile. In many cases, muriatic acid combined with a non-abrasive scrubbing pad will be recommended. If you choose this route, be sure to wear eye goggles, rubber gloves, and a respirator before you open the container. The muriatic acid will need to be carefully diluted with water without mixing too quickly as the combination can produce heat and even boil. 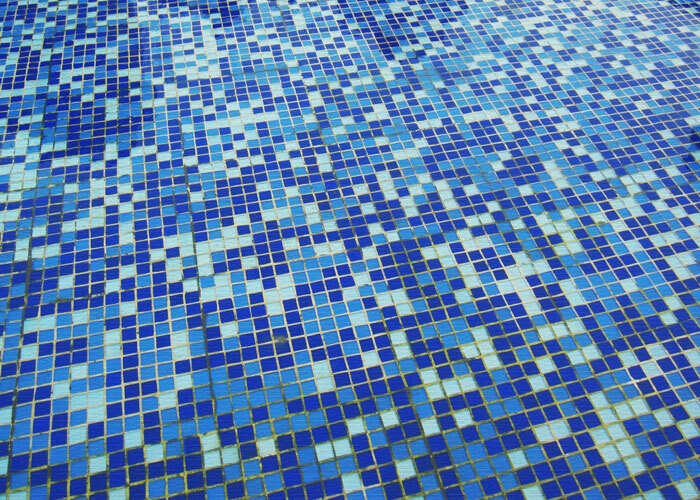 Do not try to clean the tile while you are in the pool as you are working with a corrosive chemical. As the muriatic acid dissolves the scale deposits, it will bubble, fizz, and emit noxious and dangerous fumes. A DIY approach can be effective as long as you’re careful and you don’t have a very thick deposit of scale. 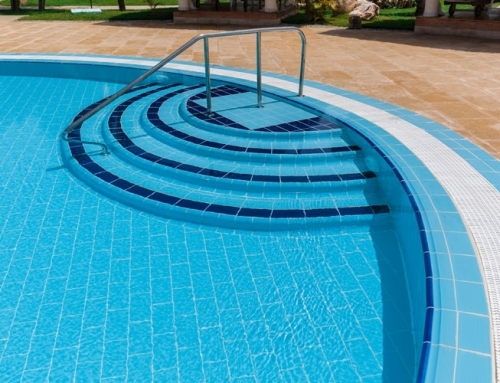 If you don’t like the idea of working, with harsh chemicals or spending hours scrubbing your pool tiles, professional pool tile cleaning is an affordable and effective alternative. 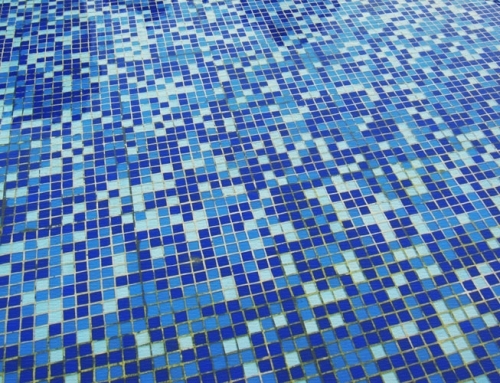 As one of the leading pool cleaning companies in Las Vegas, we use glass bead blasting and salt blasting to quickly and easily remove even years of thick scale deposits without damaging your tile or grout. Glass bead blasting involves blasting very tiny, round glass beads against your tile with a low-pressure stream of air. These tiny beads won’t scratch or hurt your tile but they will make quick work of calcium, oil, grit, and algae stains. This technique requires no chemicals at all. Even the beads are reusable and will be removed from your pool once we’re done. An alternative to bead blasting is salt blasting. This approach blasts natural mineral salt against your tile. On impact, the salt will burst and release built-up debris from the tile. 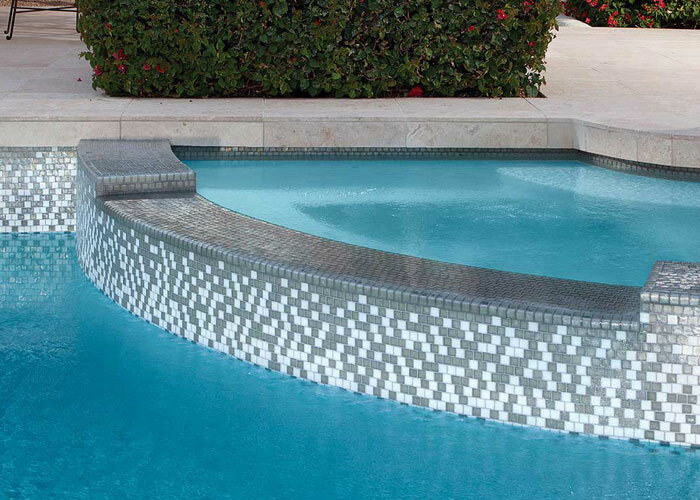 It’s the perfect solution for even the most delicate sandstone tile, glass mosaic tile, and hand-painted tile.